Get Moving with Aileen today! 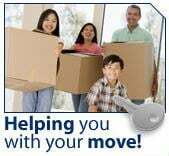 Welcome to GET MOVING WITH AILEEN , your source for Hamilton real estate. If you own real estate that you're thinking of selling, I would be happy to provide you with a FREE Home Evaluation. 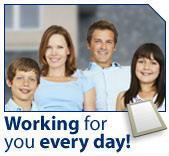 Whether you are buying or selling a home, hire someone like me, who wants to earn your business. I am honest, hard working, and am passionate about 2 things...people and real estate! I love my city of Hamilton and am excited about all the positive changes to our real estate market and commercial sector. This is an exciting time for Hamilton and it is an extrememly exciting time to BUY and Sell! I invite you to contact me as I'd be happy to assist you with this important transaction. In addition, if you have any general questions about buying or selling real estate in Ontario, please contact me as I'm more than willing to help. If I can't answer a question for you and it is possibly outside of my area of expertise, then I will do my best to find a referral who can and will help you. I have access to hundreds of professionals within my business network who would be more than happy to assist you.